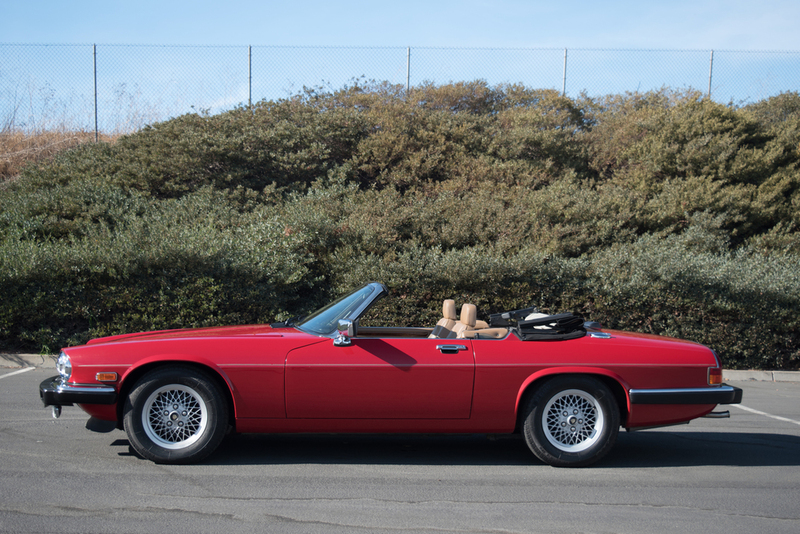 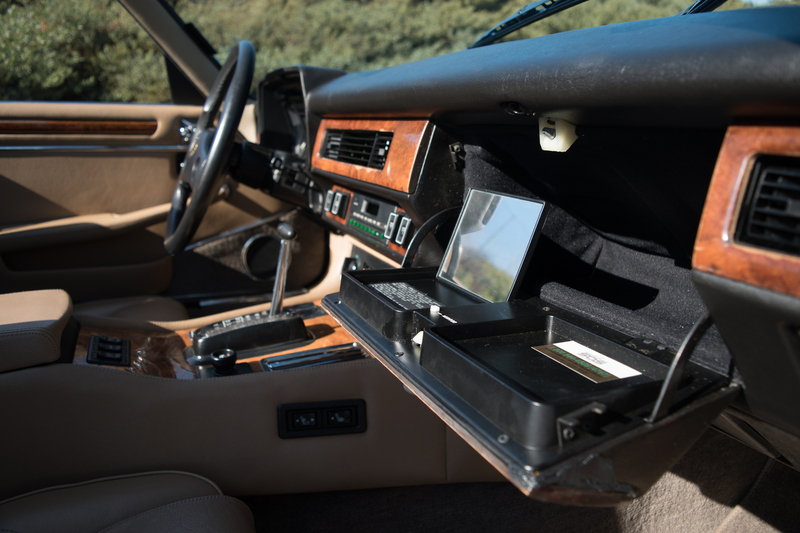 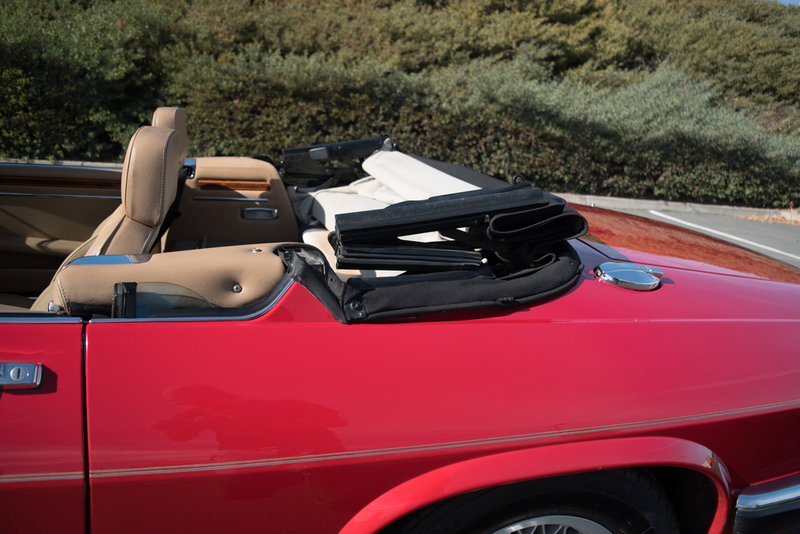 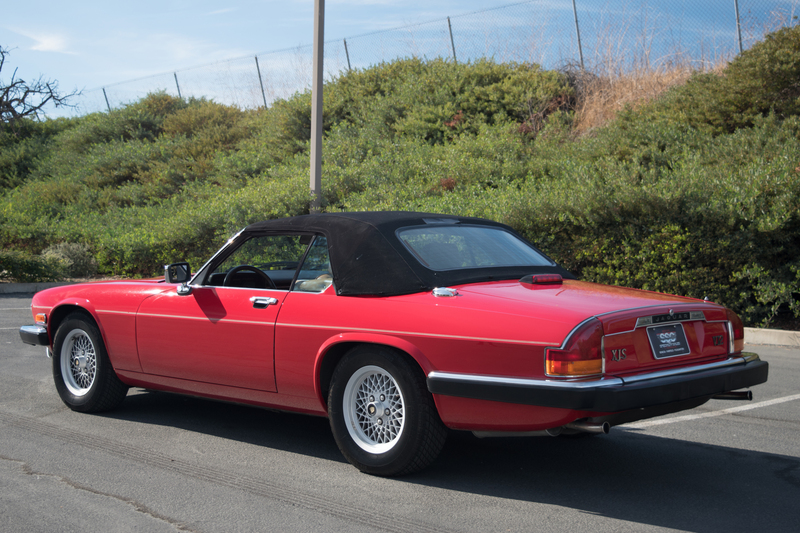 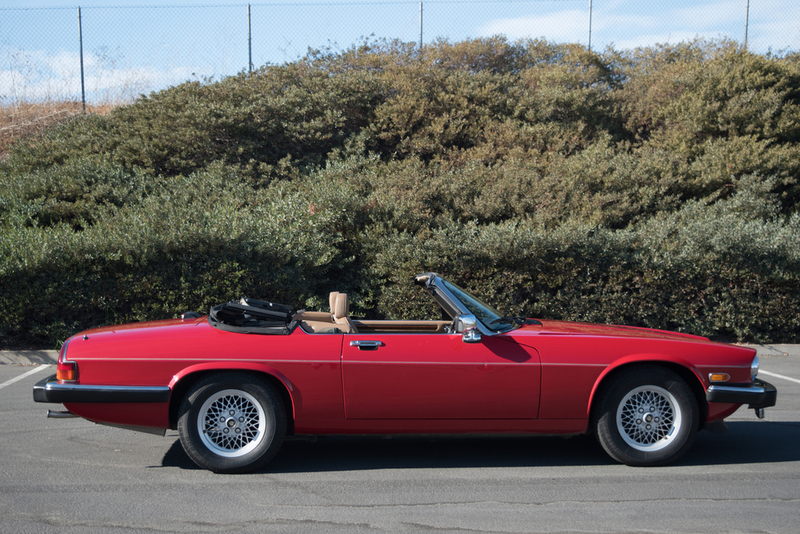 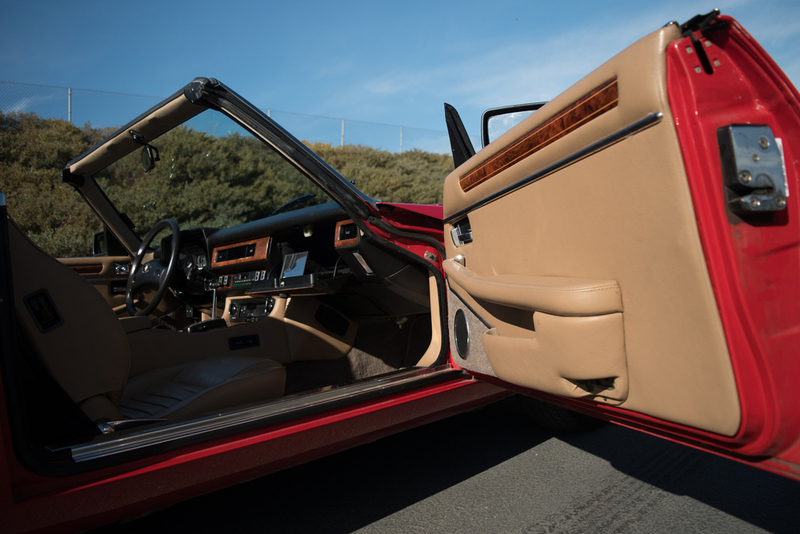 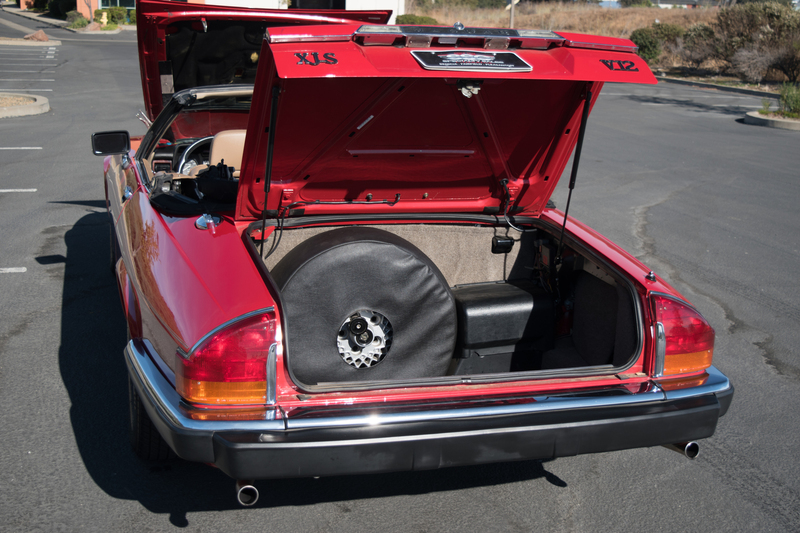 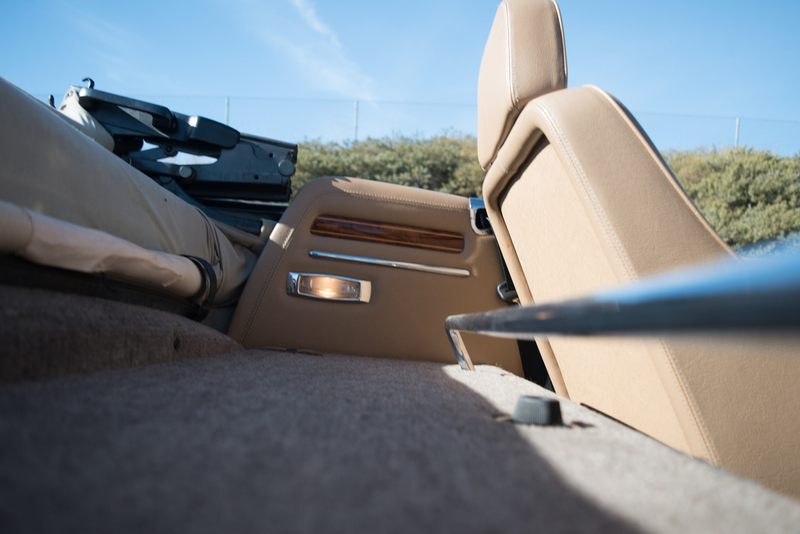 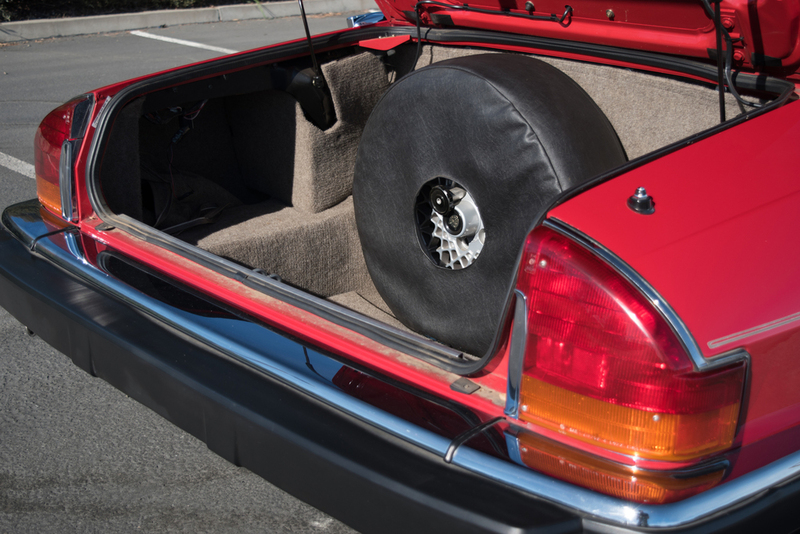 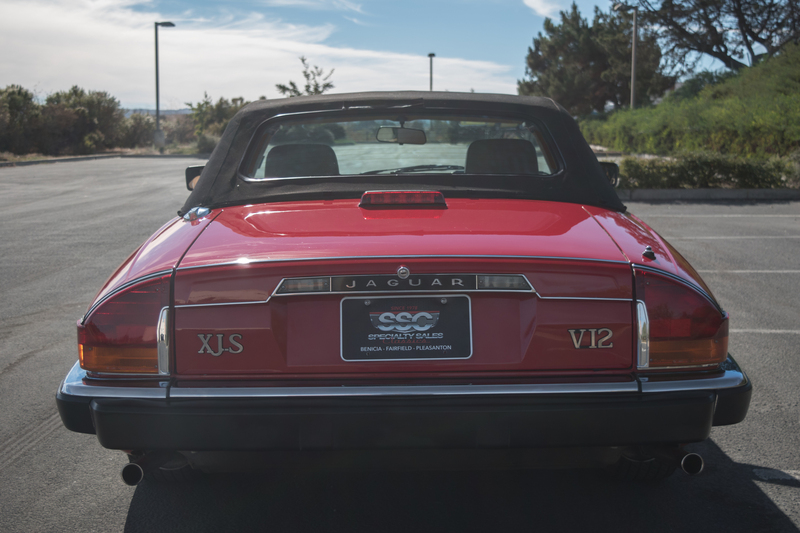 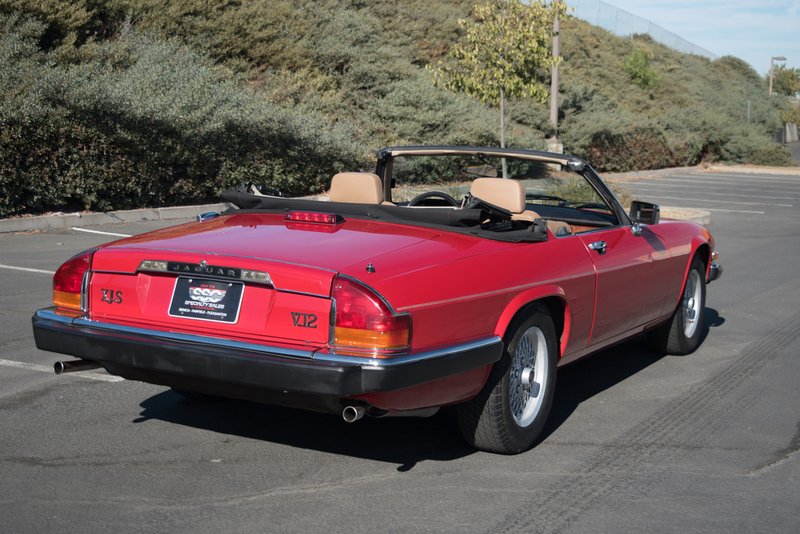 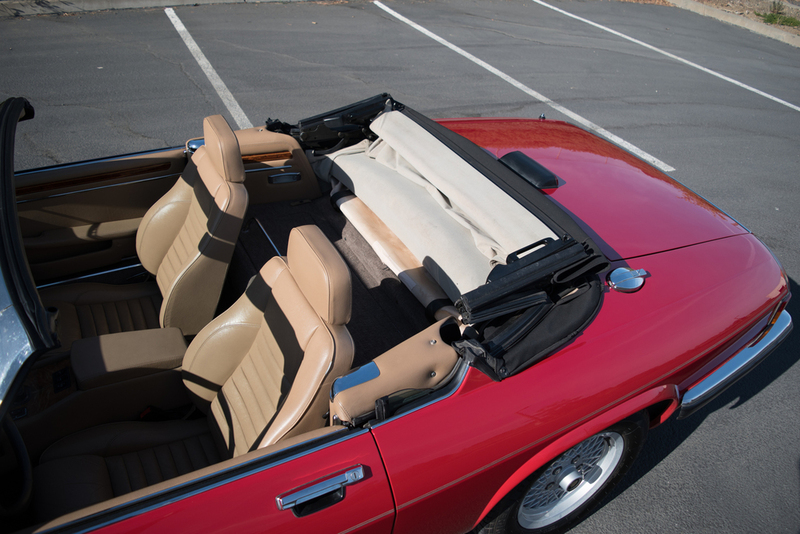 This 1989 Jaguar XJS 2 Door Convertible (Stock # B11469) is available in our Benicia, CA showroom and any inquiries may be directed to us at 707-748-4000 or via email at Sales@SpecialtySales.com. 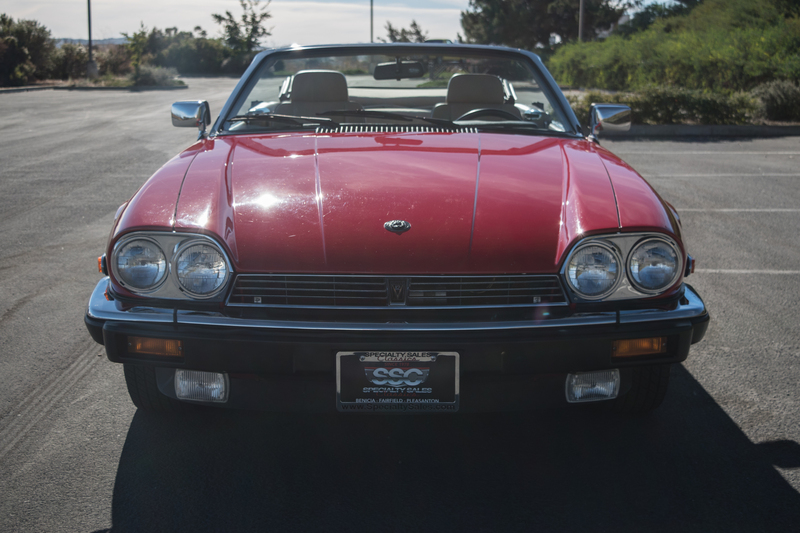 New to our Benicia showroom is this beautiful 1989 Jaguar XJS 2 Door Convertible with red exterior paint and a Biscuit (tan) leather interior. 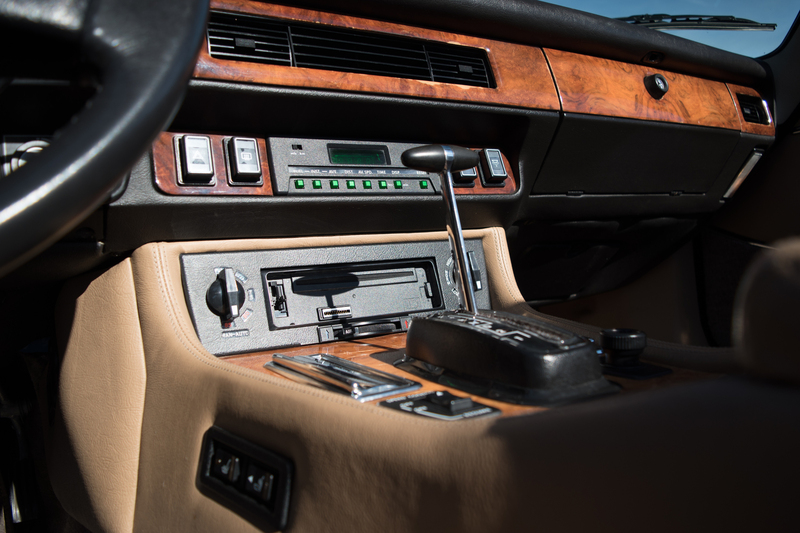 You’ll find a 326 cid twelve-cylinder engine under the hood with an automatic transmission and this rust-free example is very nicely equipped with a folding electric top, cold A/C climate control, upgraded anti-lock brakes, heated rear glass, modern heated seats with lumbar control, an upgraded Kenwood CD player with a Rockford amp, Pirelli P600 tires on alloy wheels and more. 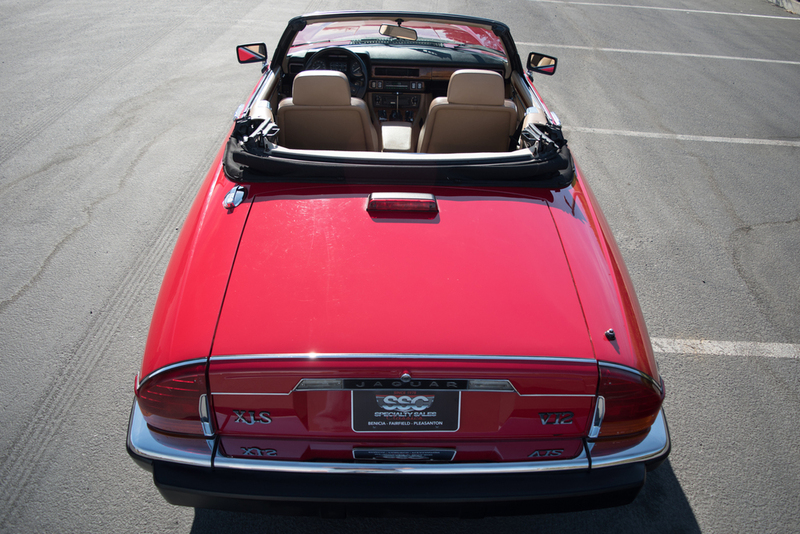 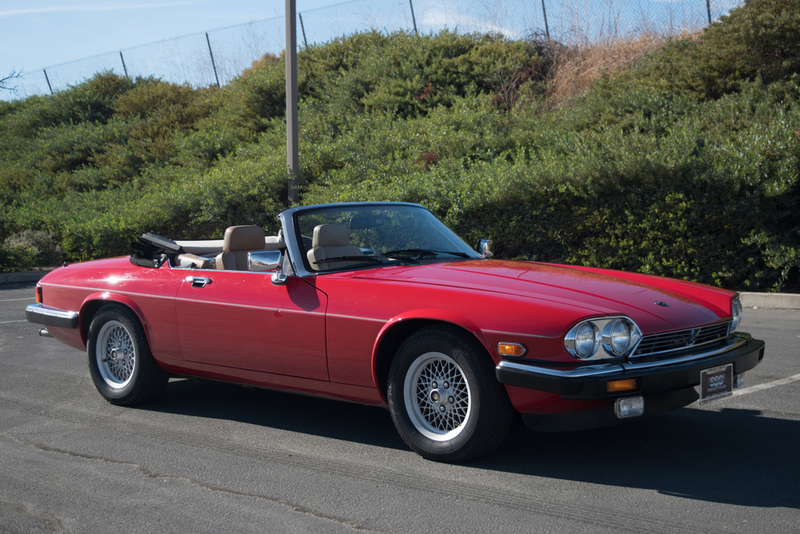 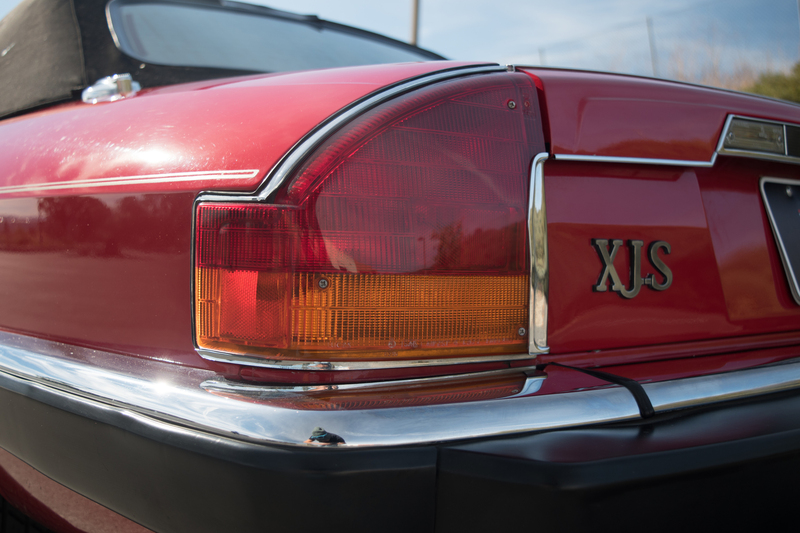 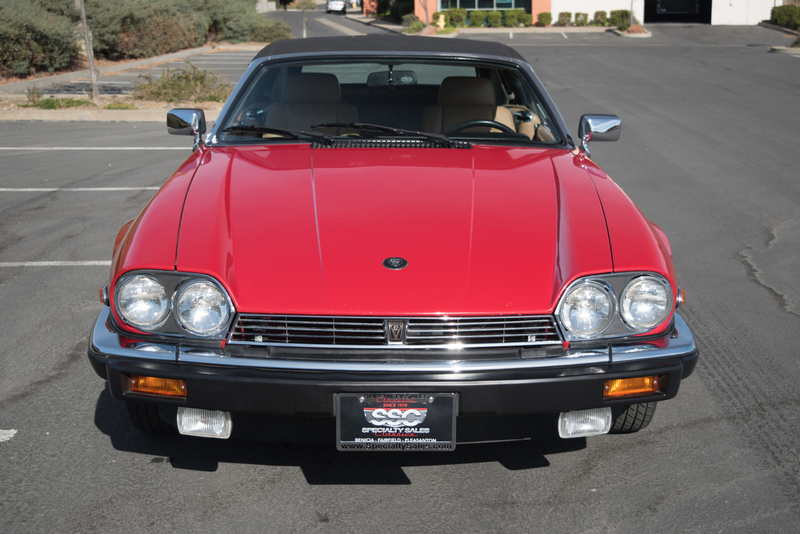 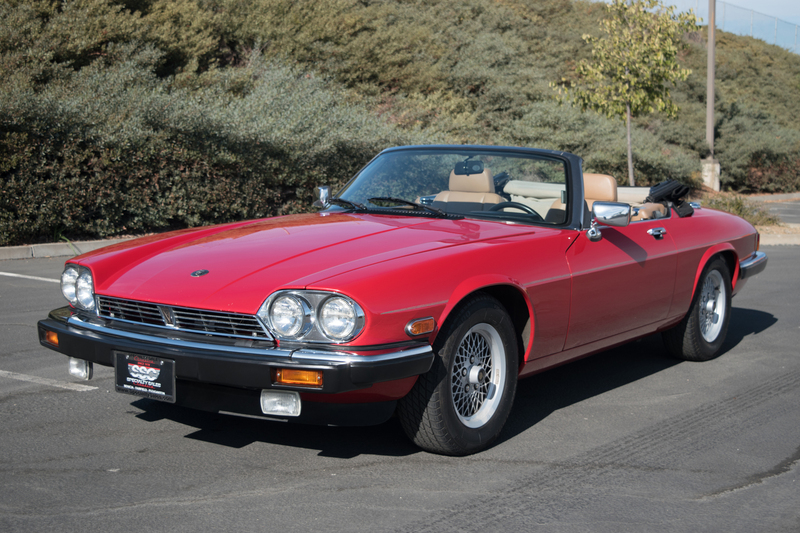 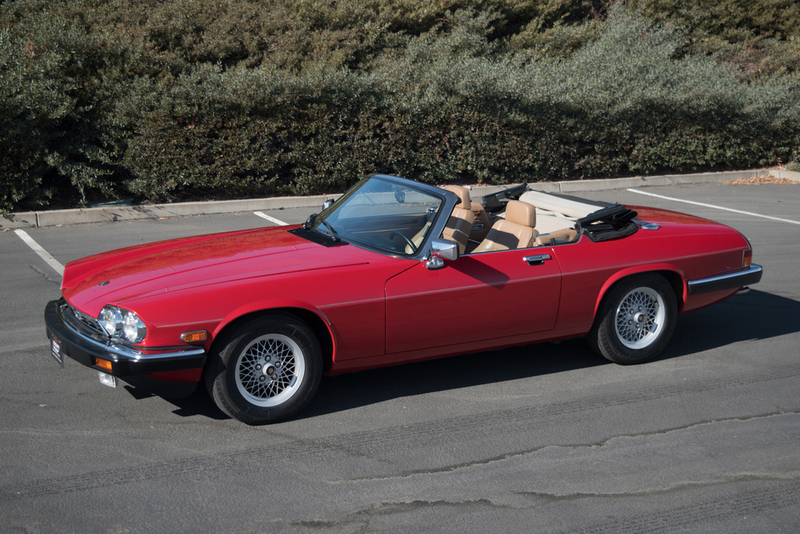 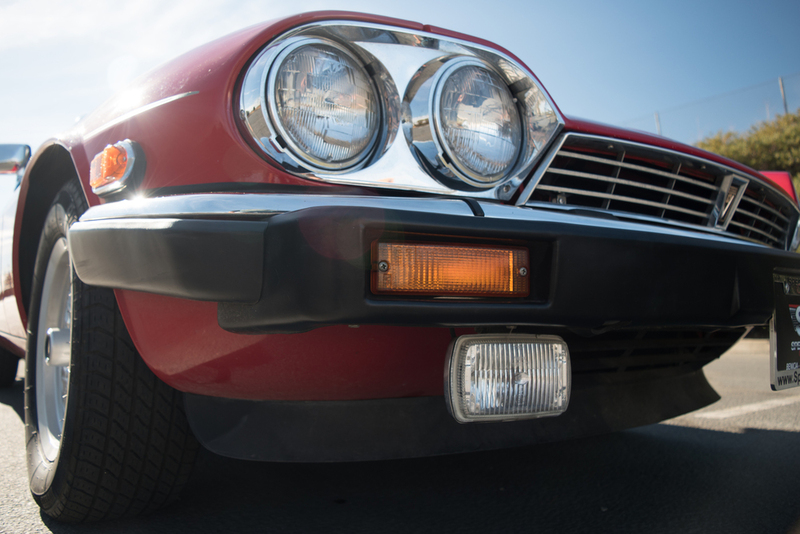 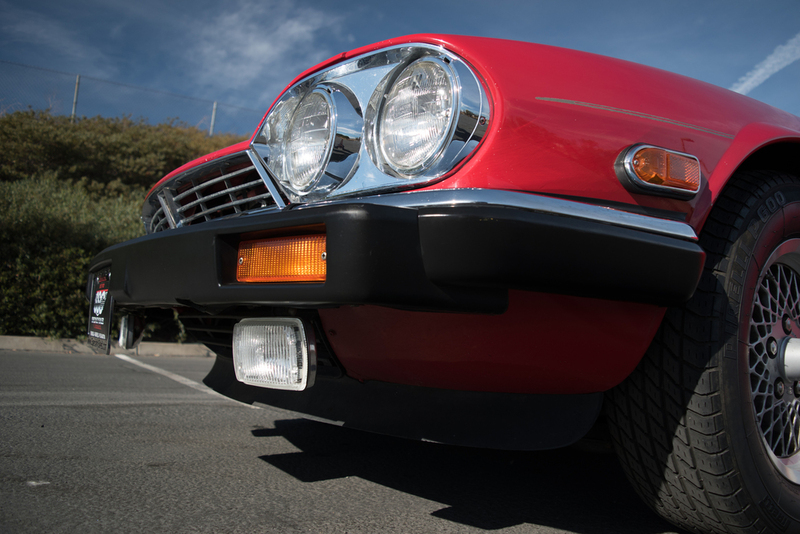 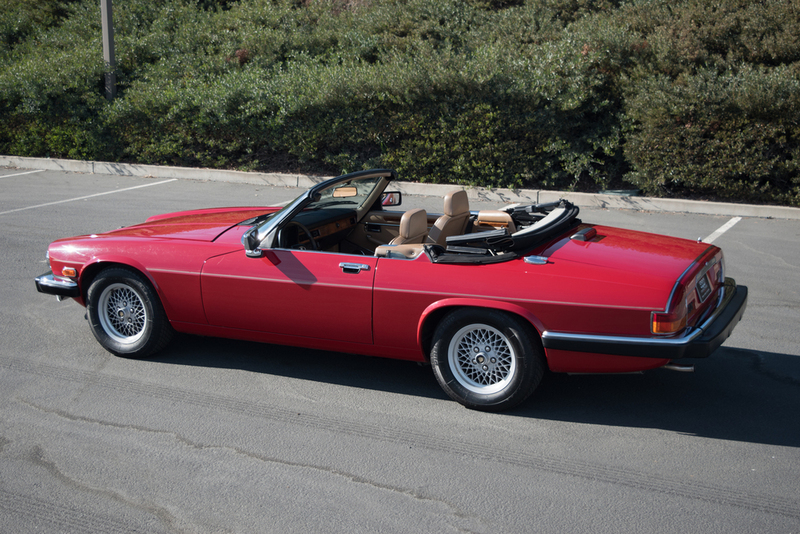 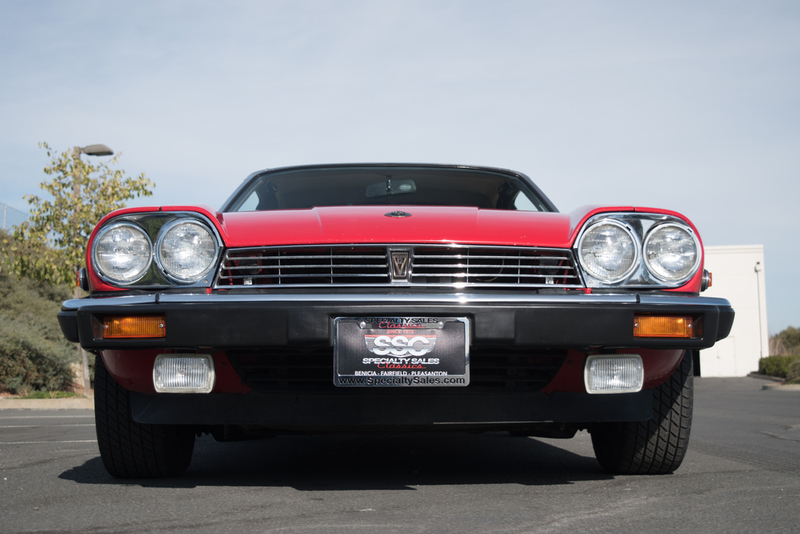 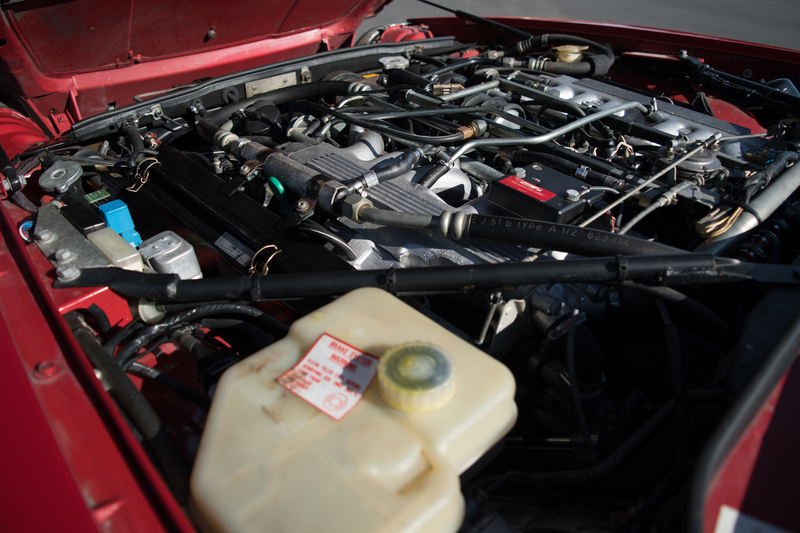 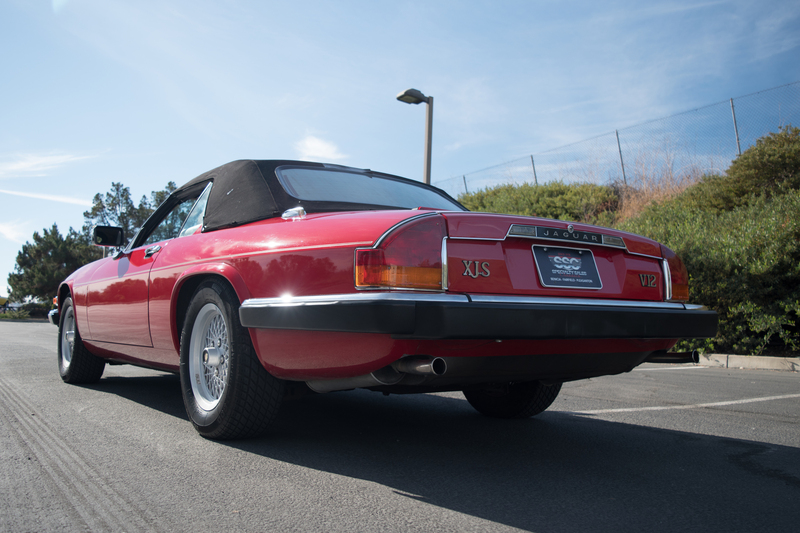 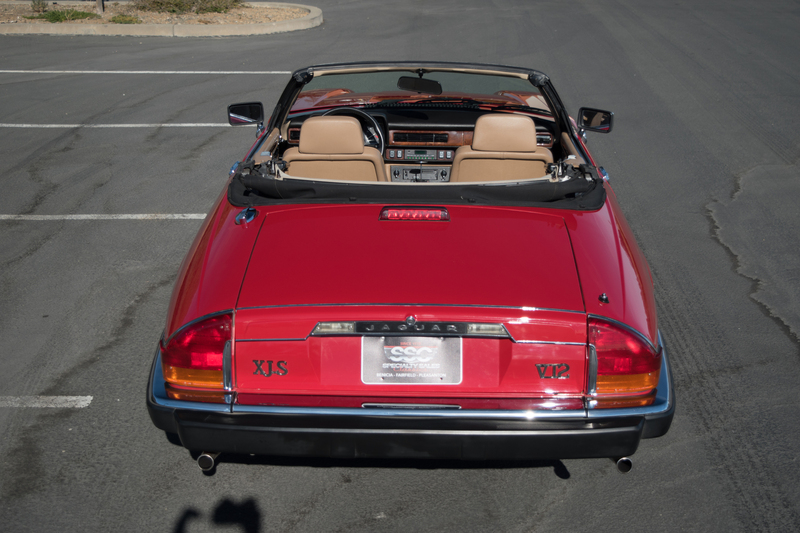 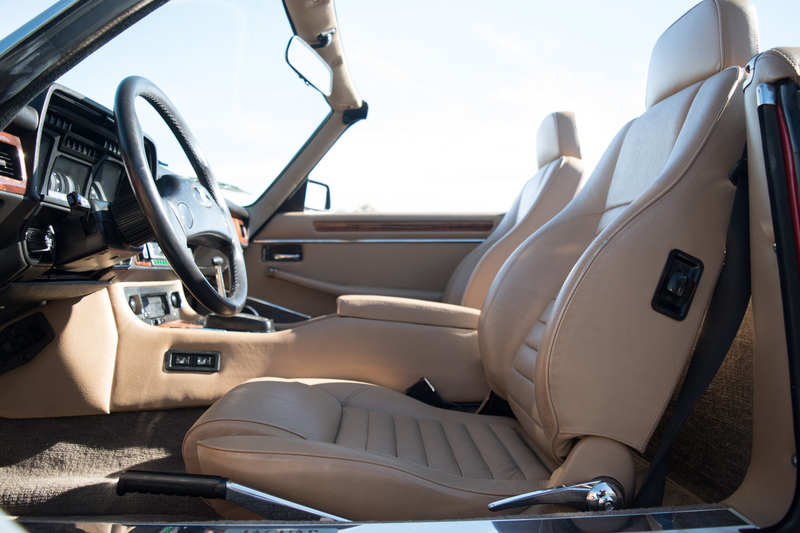 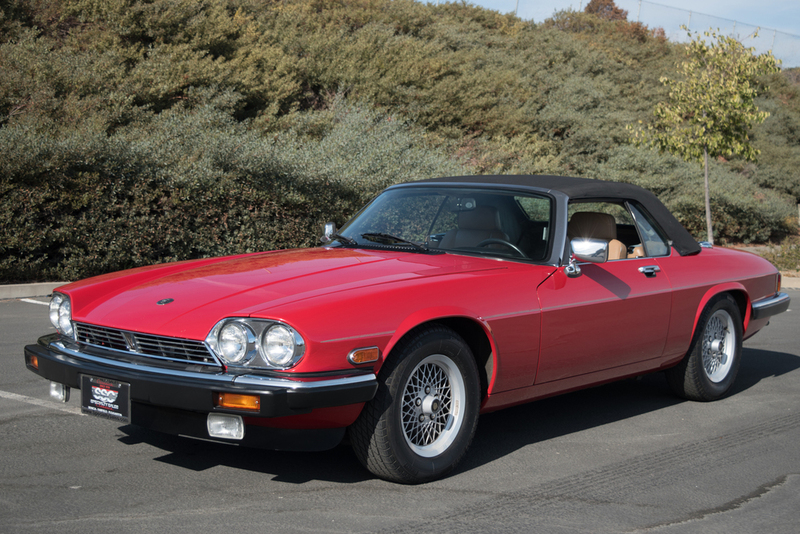 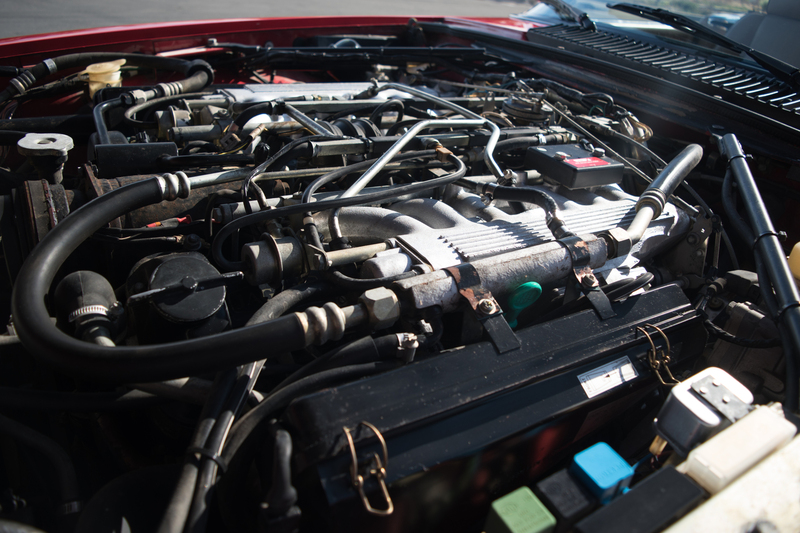 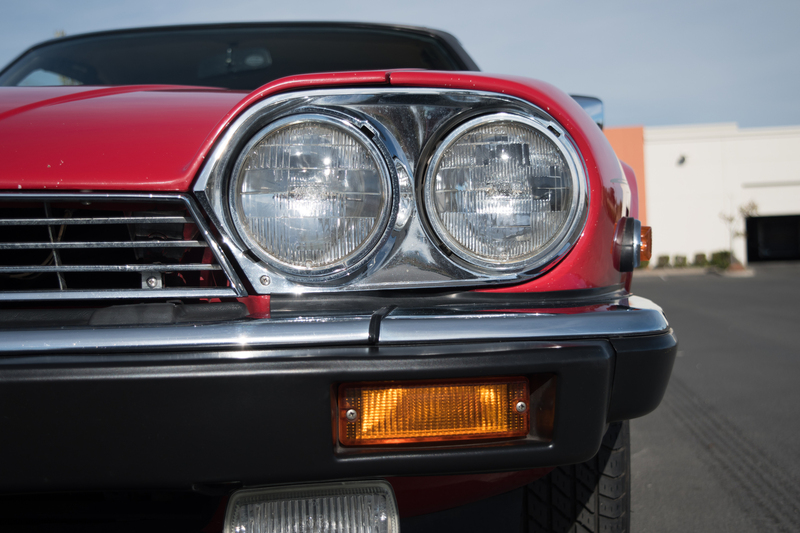 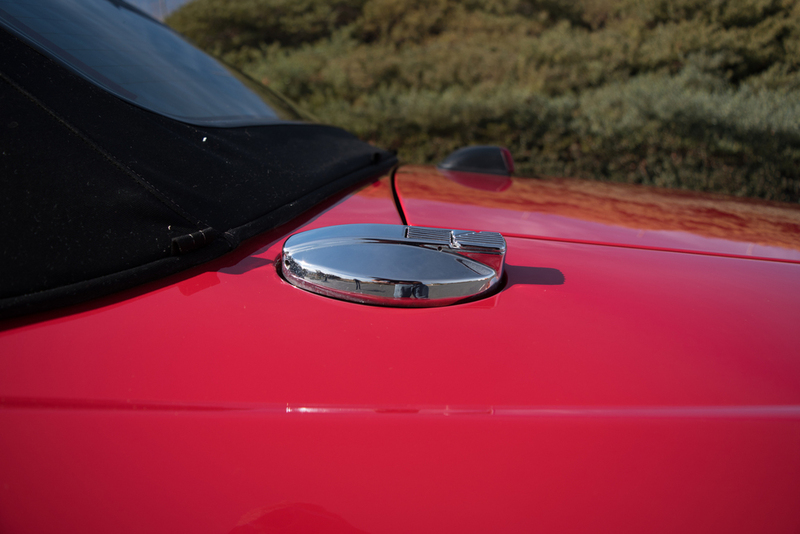 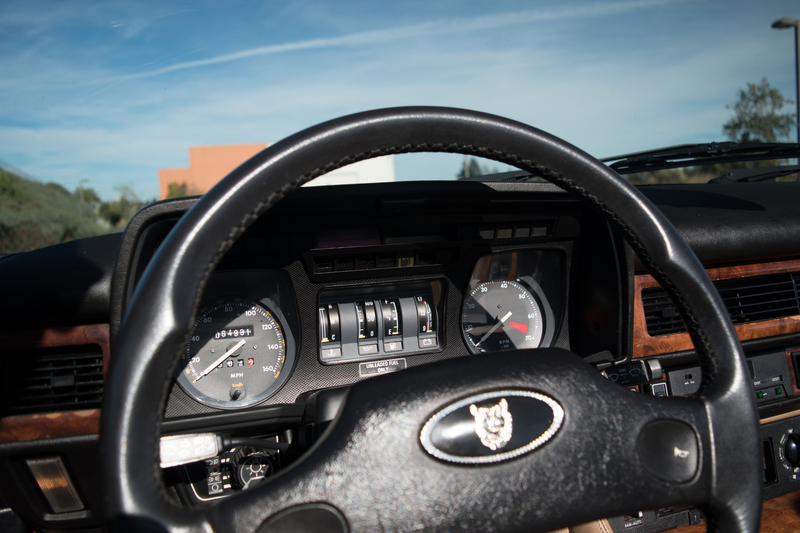 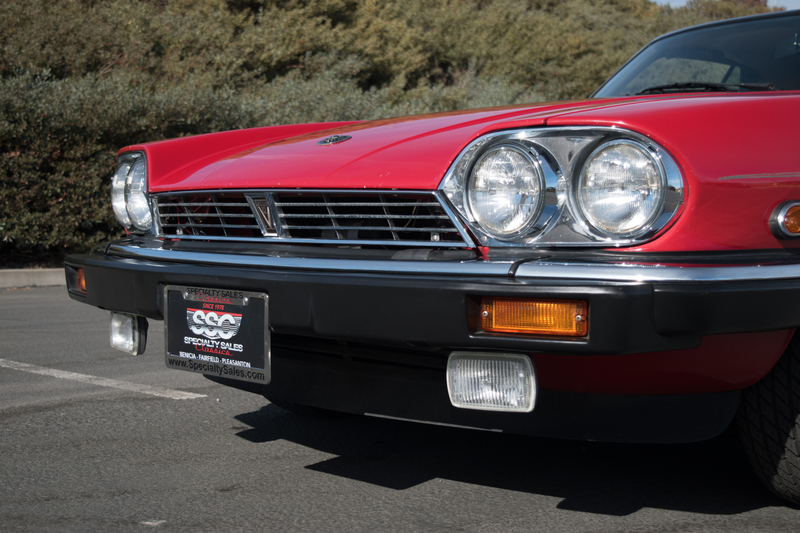 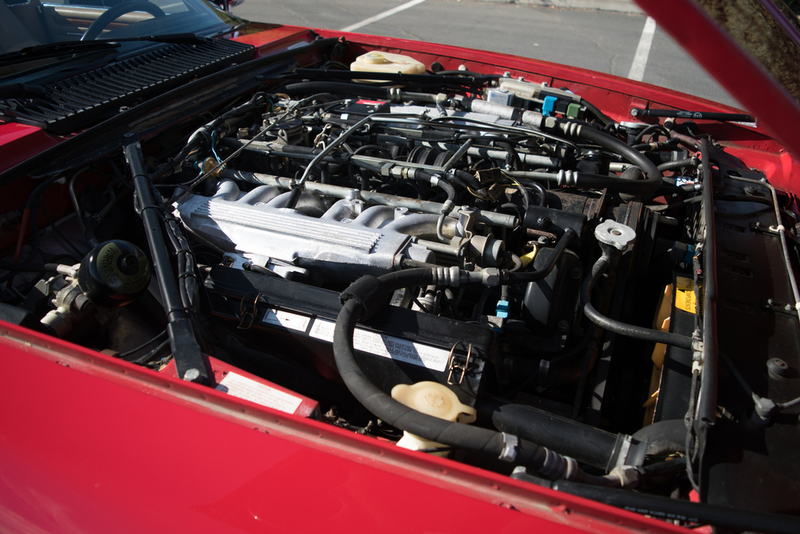 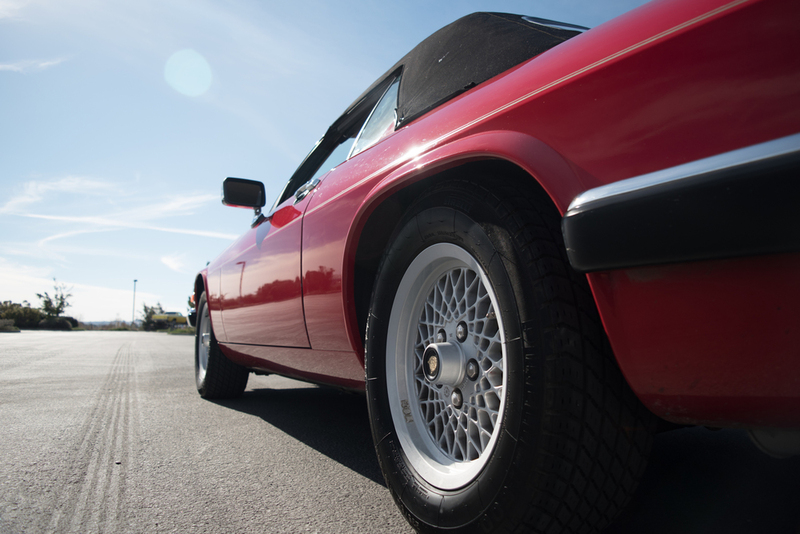 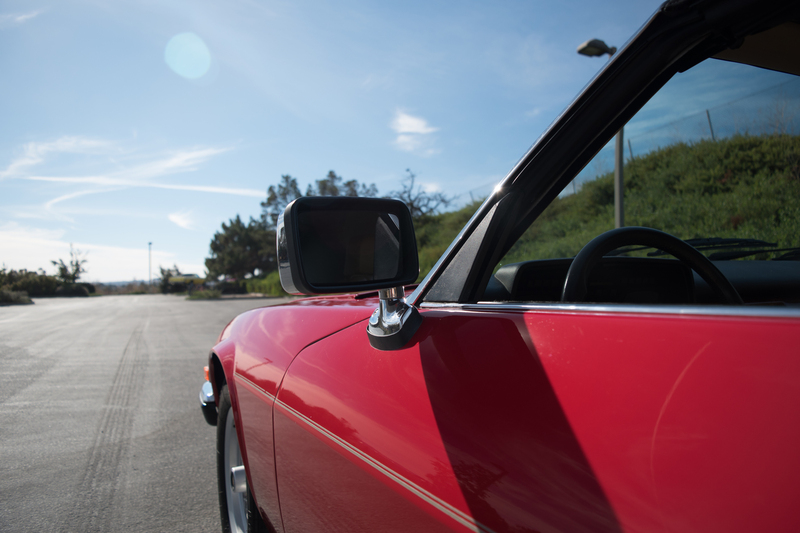 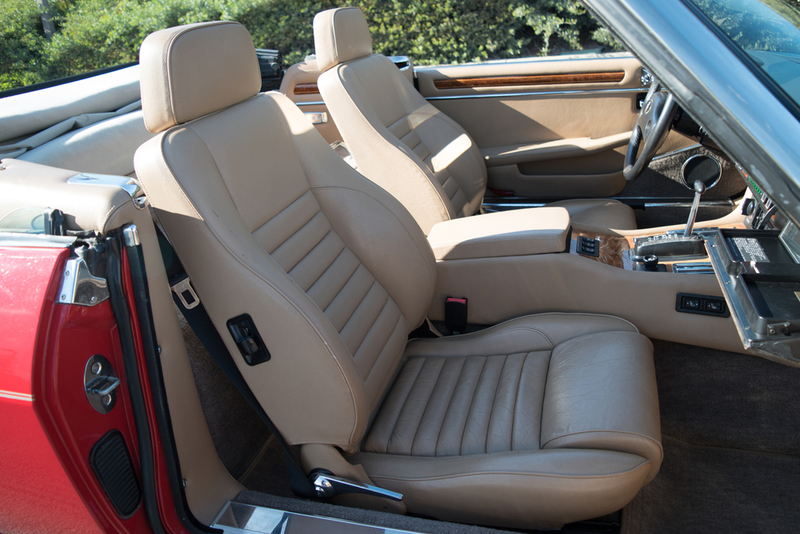 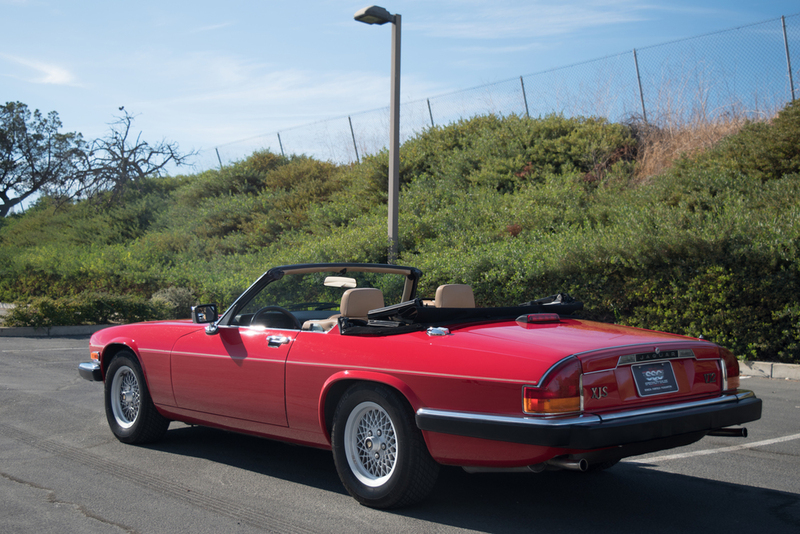 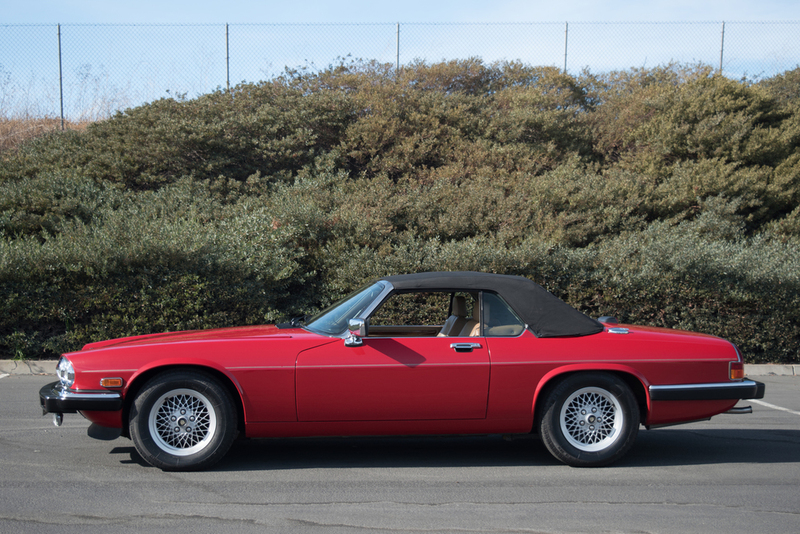 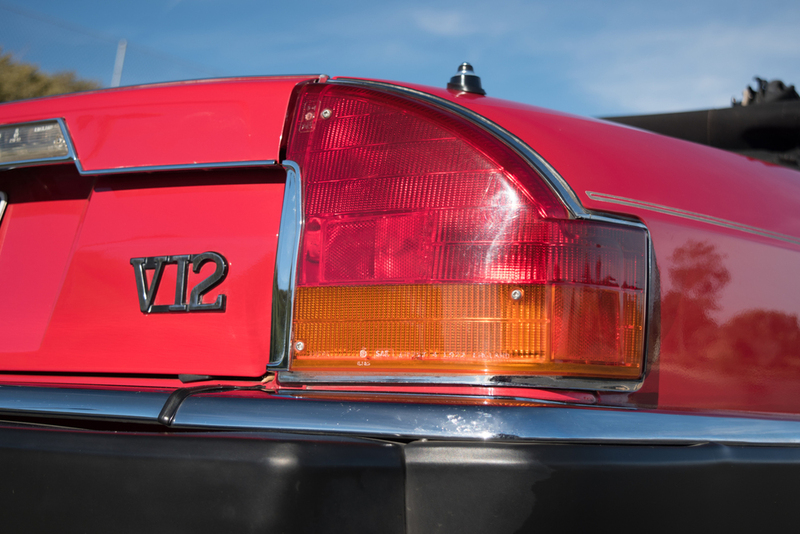 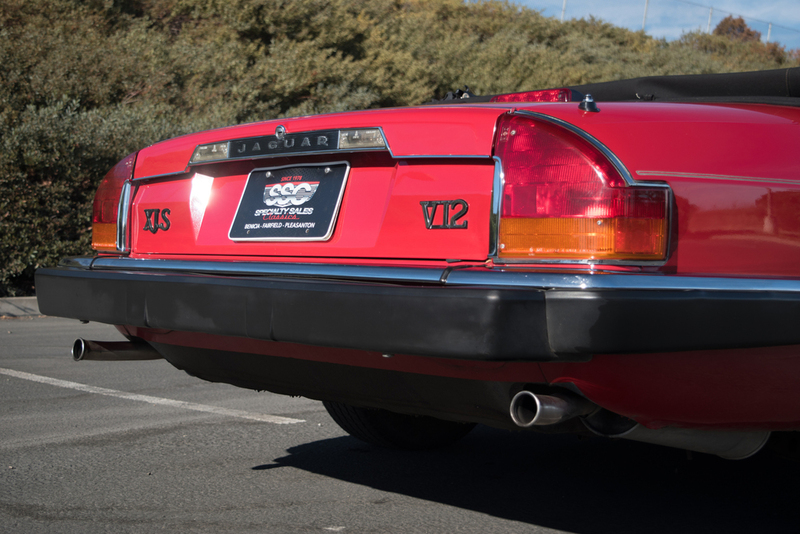 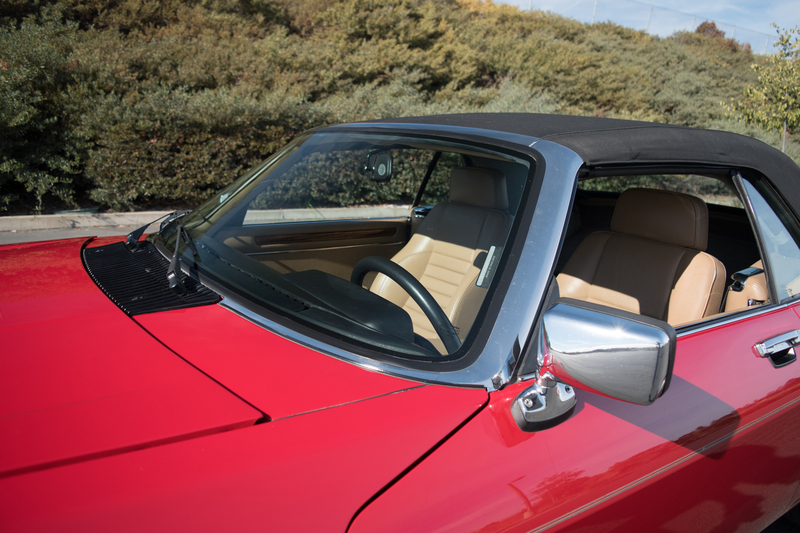 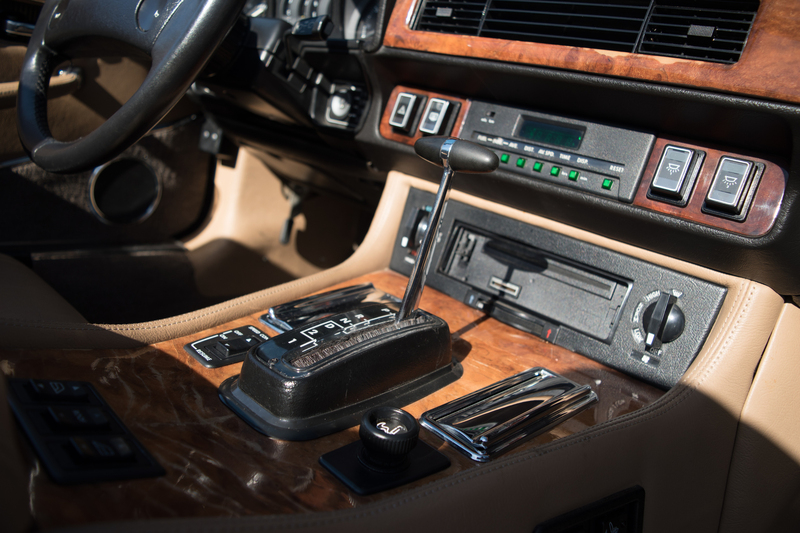 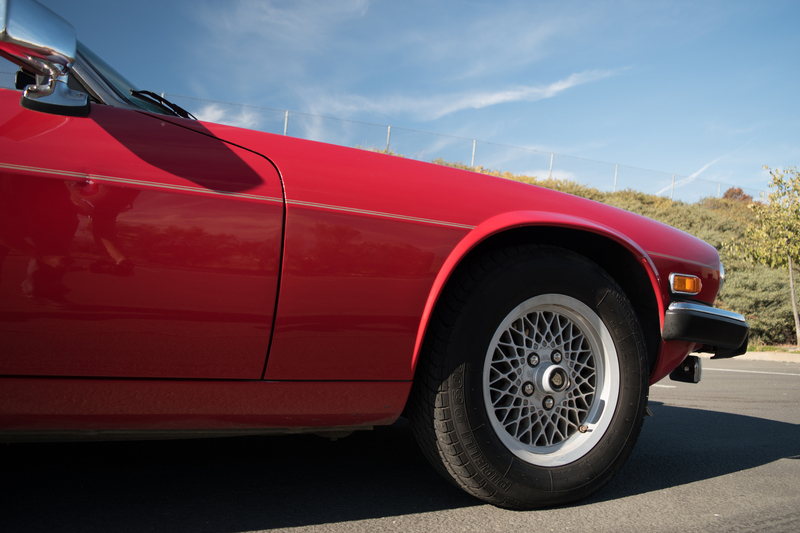 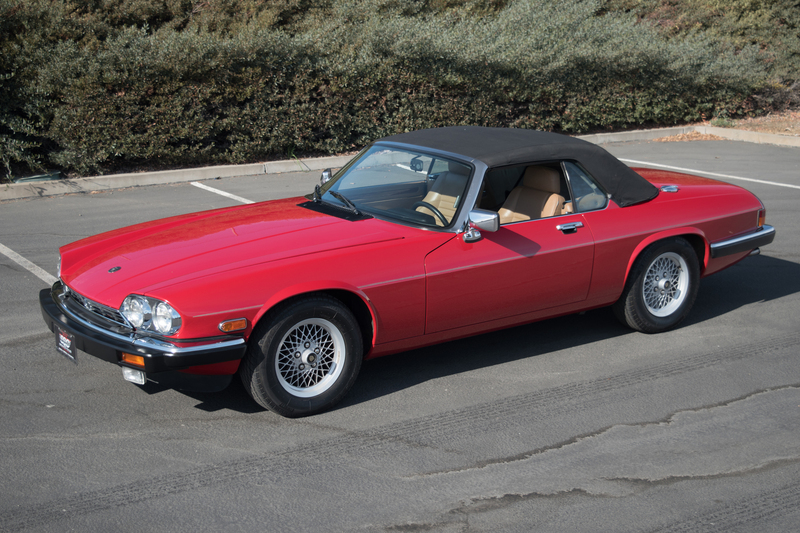 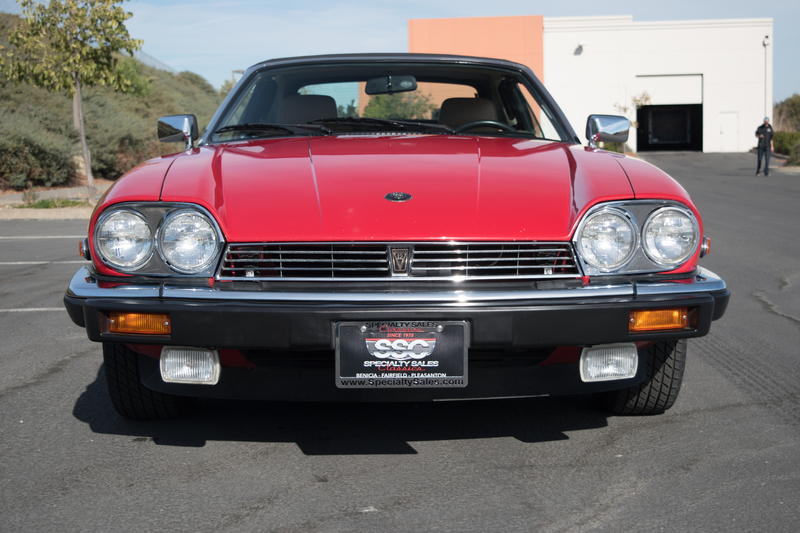 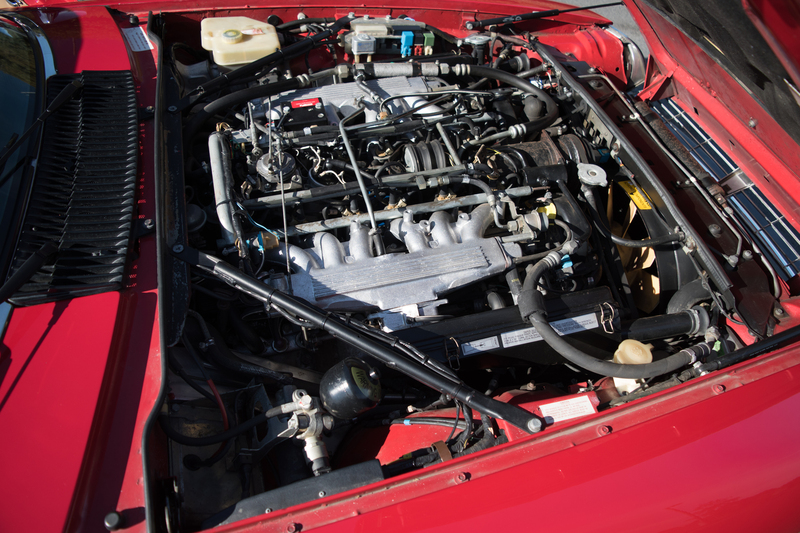 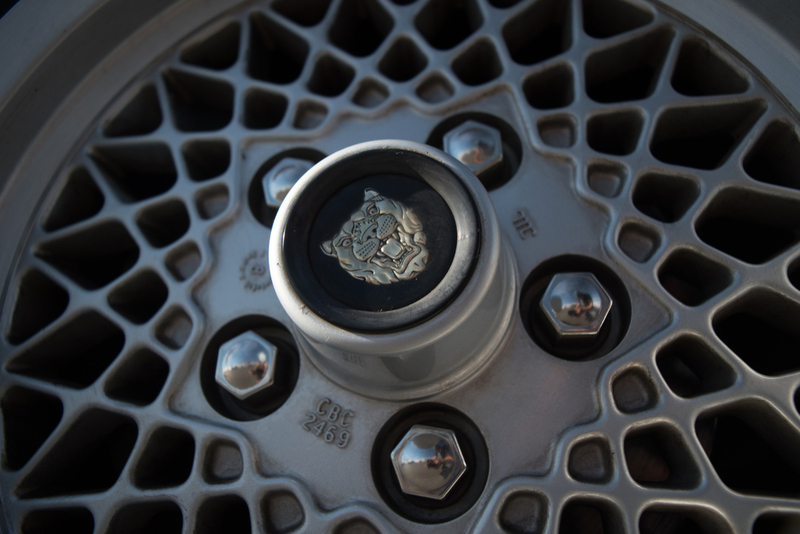 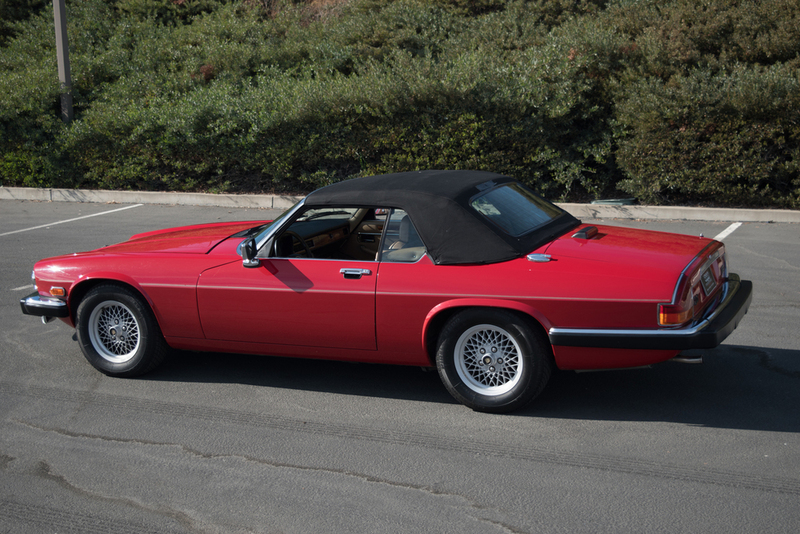 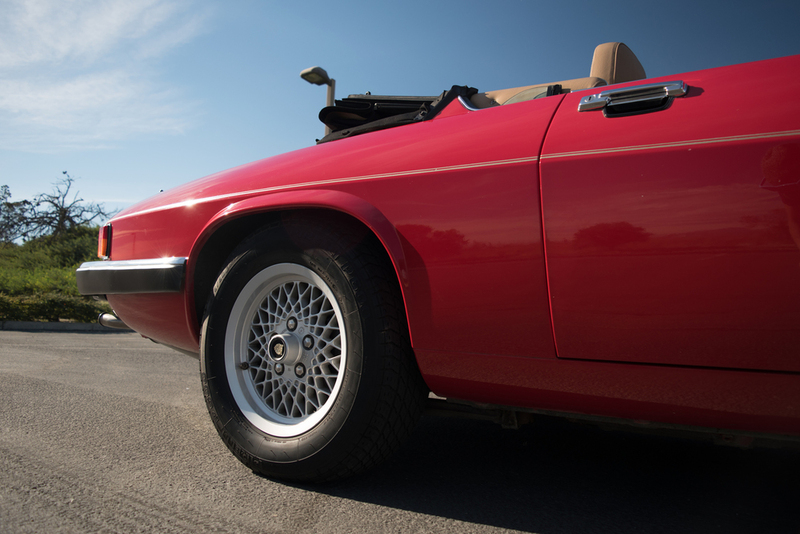 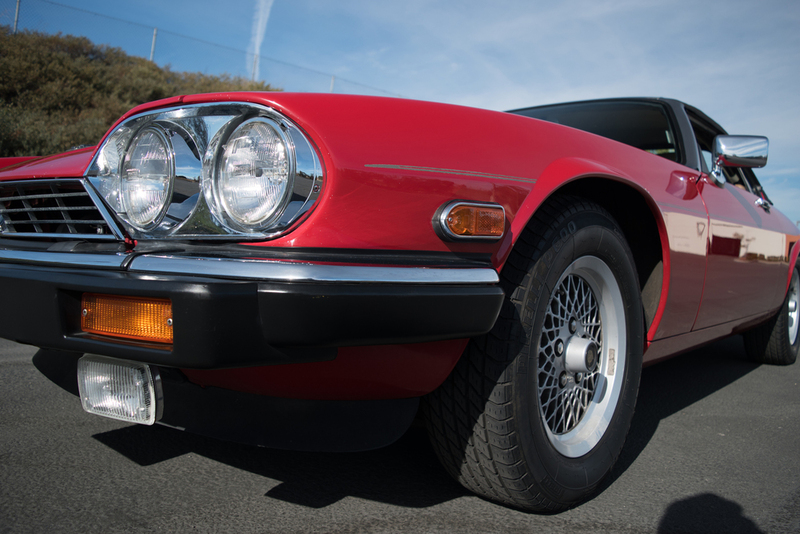 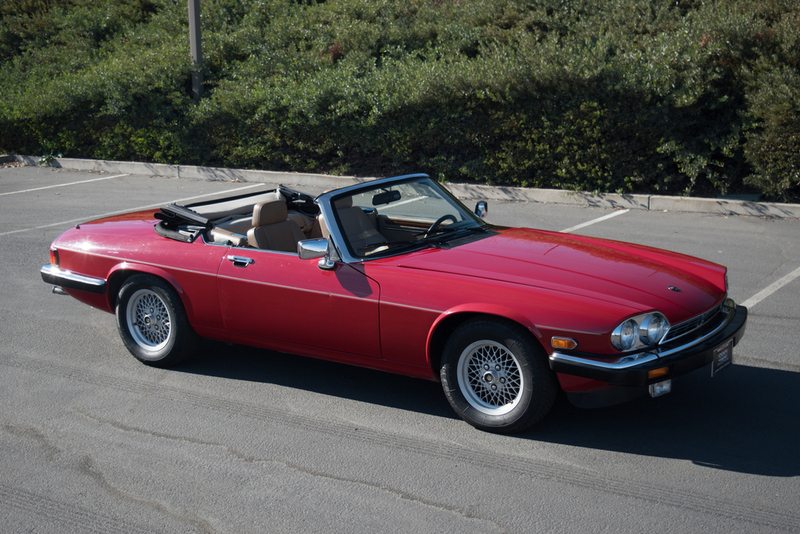 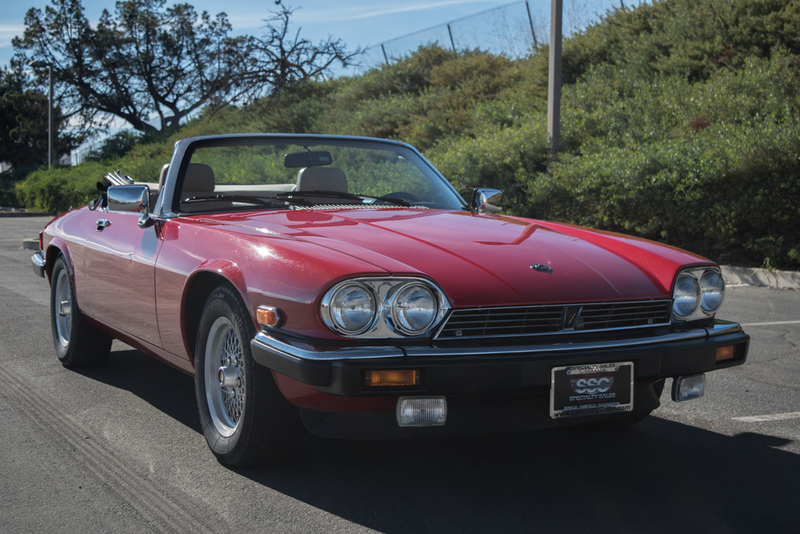 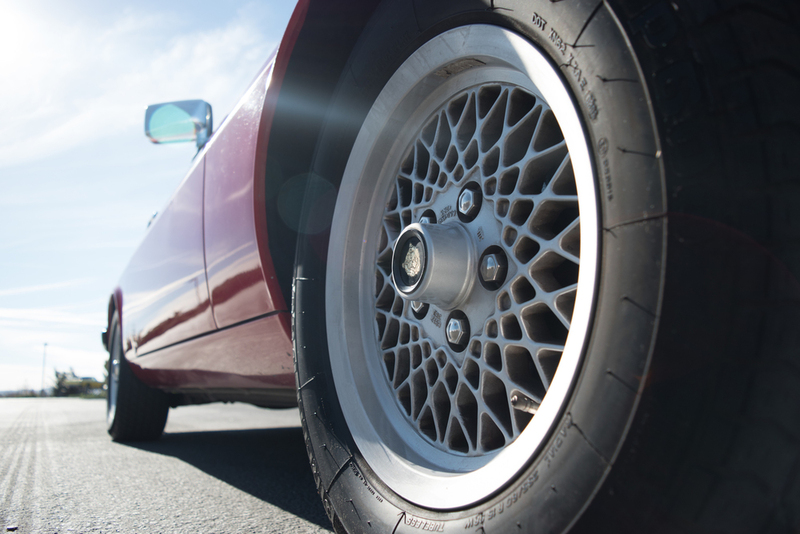 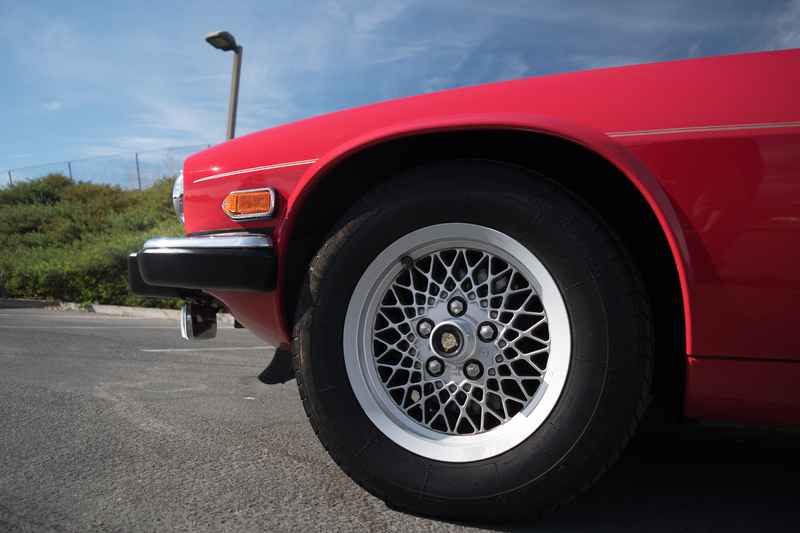 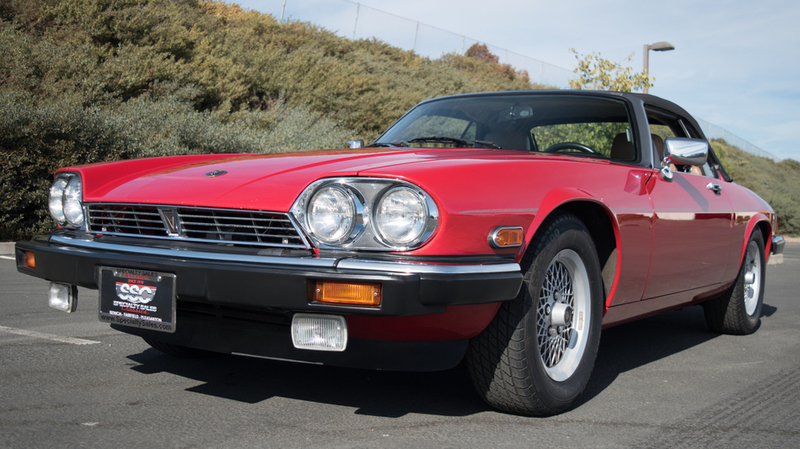 This 1989 Jaguar XJS Roadster is a one-owner classic that drives very smoothly with excellent power and handling. 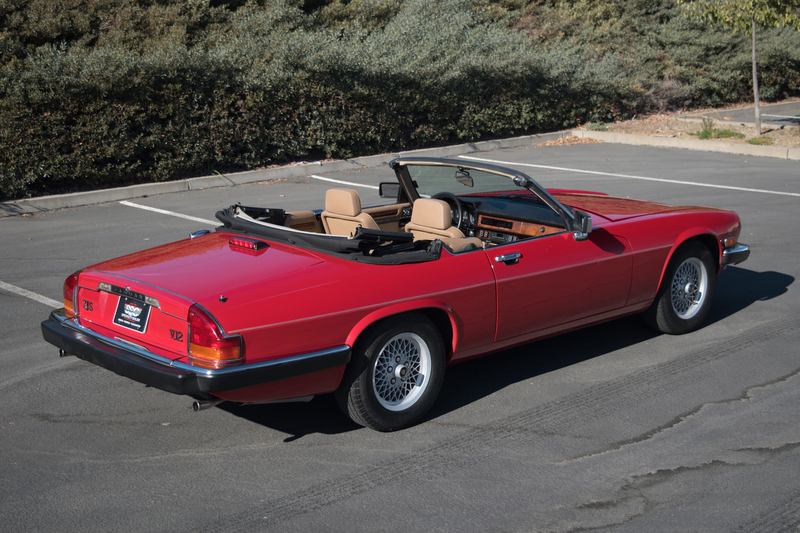 It’s V-12 factory aluminum block engine produces 260 horsepower and this very nicely maintained example drives like a much newer luxury convertible. 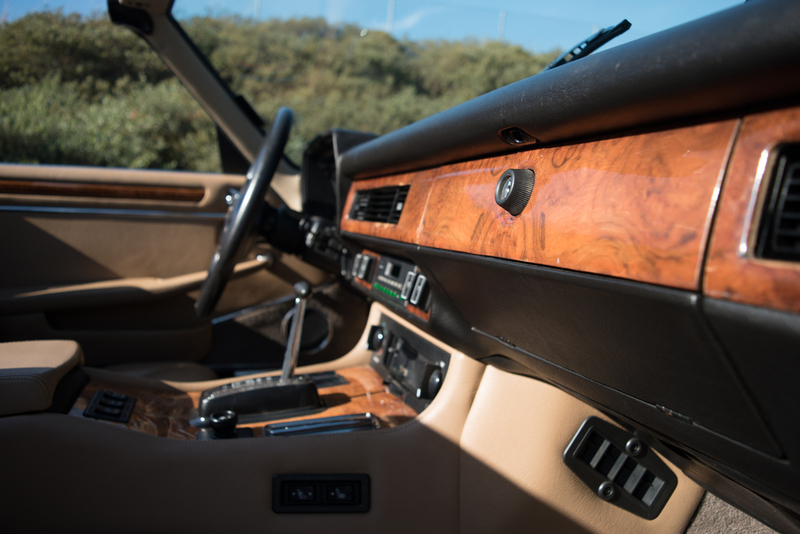 It has a clean Car-Fax report and we were informed that this one has been repainted once it its lifetime in the factory color, plus received the aforementioned interior upgrades to make it an even more impressive daily driver. 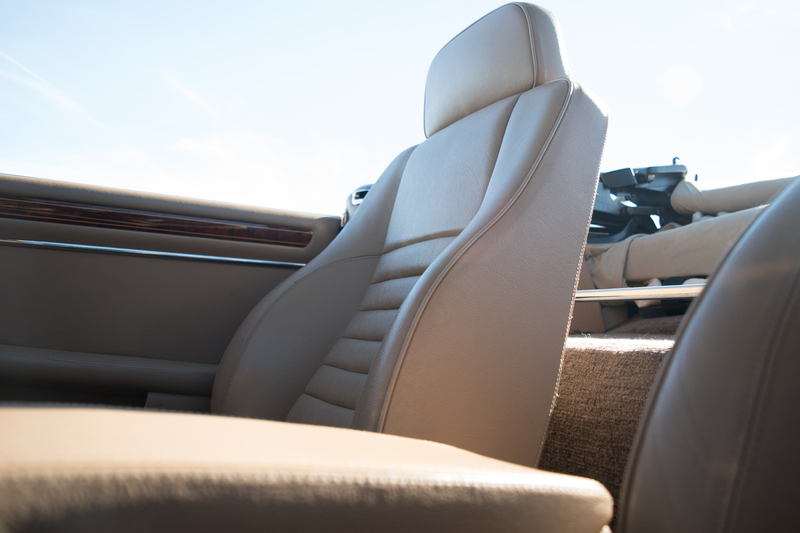 Everything works nicely and this luxury performer doesn’t need anything to be enjoyed immediately. Additionally, this 1989 Jaguar XJS 2 Door Convertible shows only minimal signs of wear with a few minor scratches to the paint. 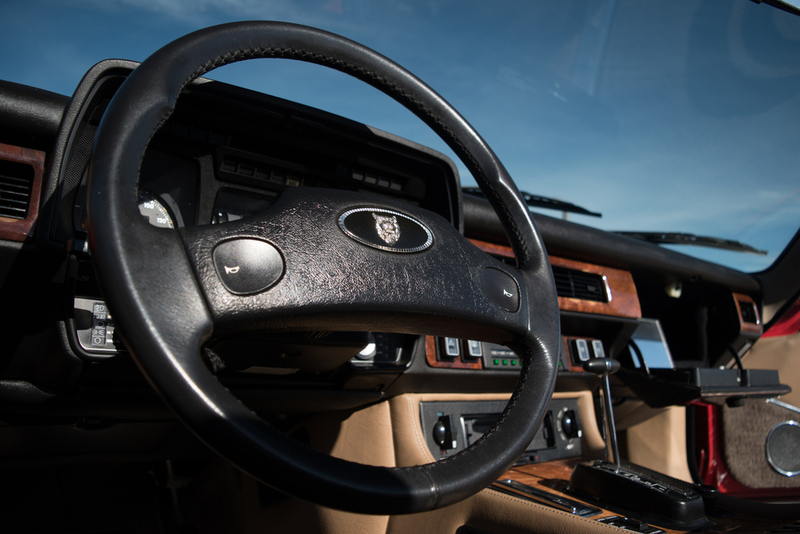 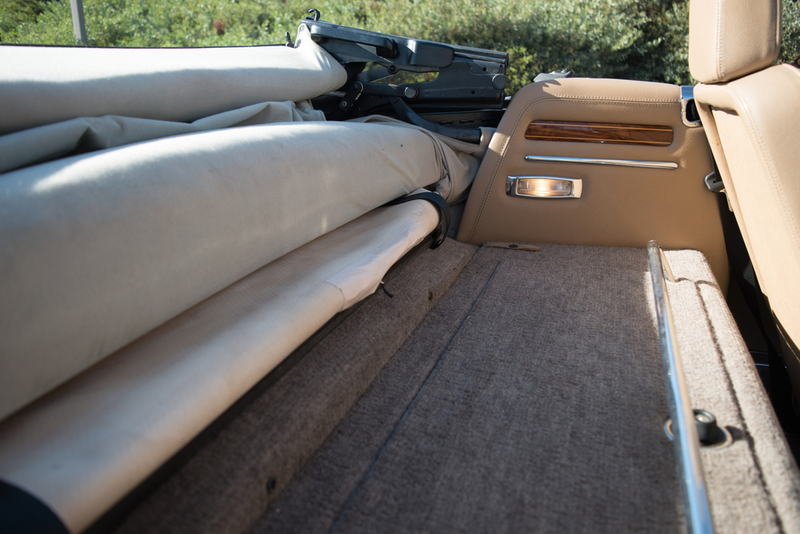 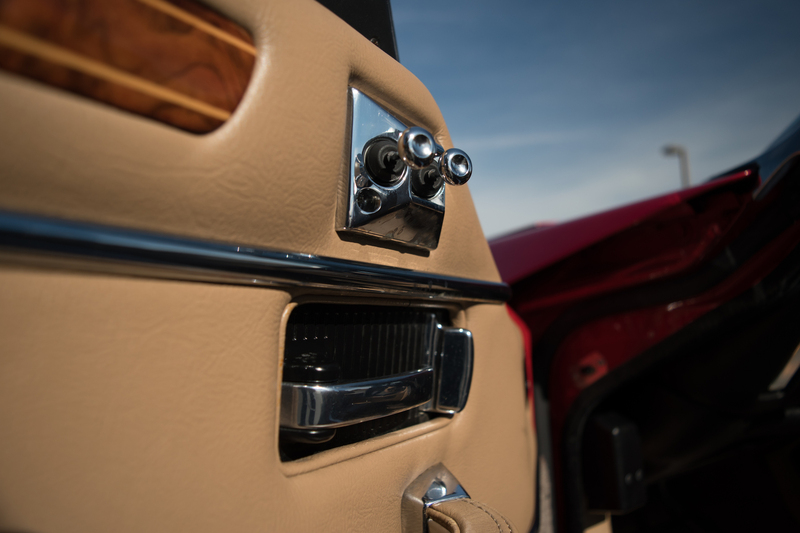 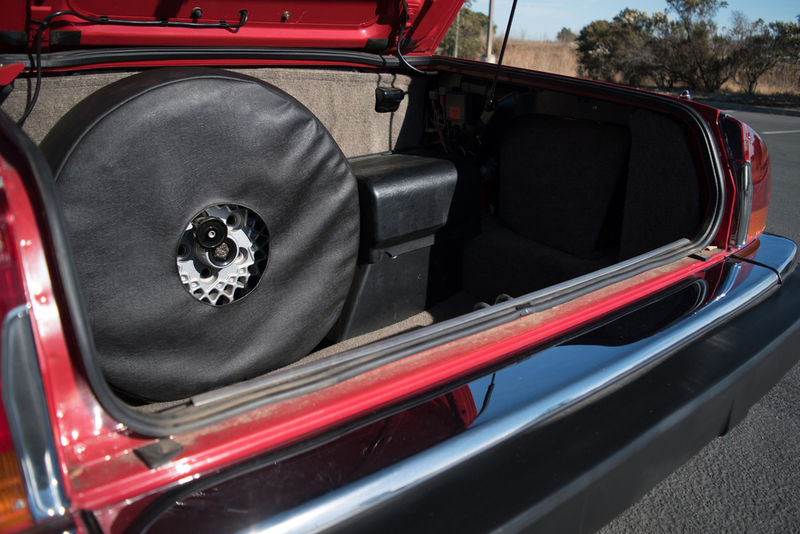 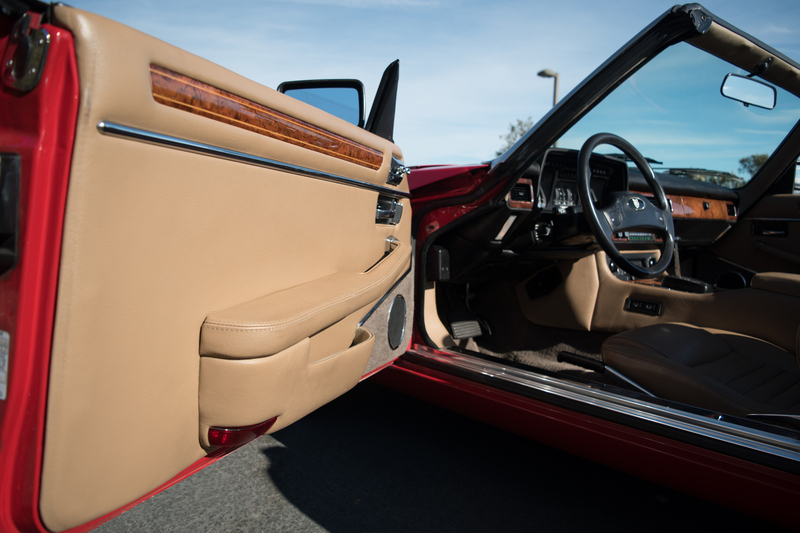 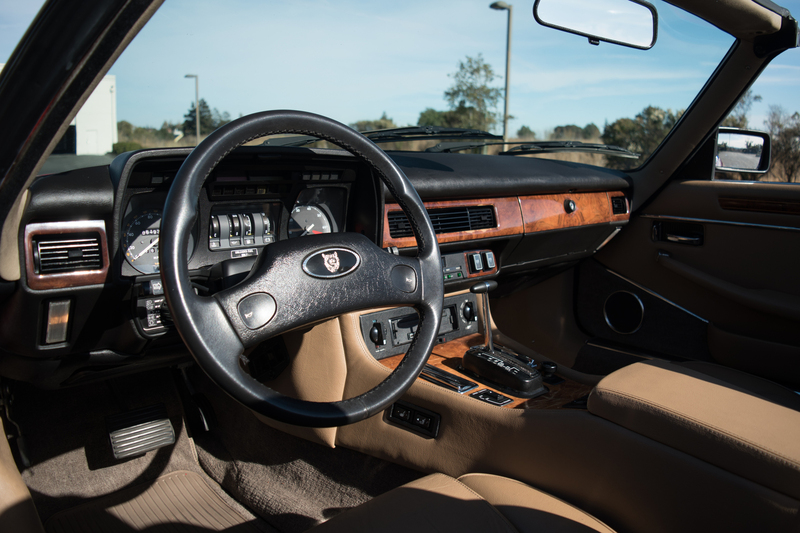 The flowing body is in fantastic condition, however, and the upgraded interior is among the cleanest you’ll see in a classic within this price range. 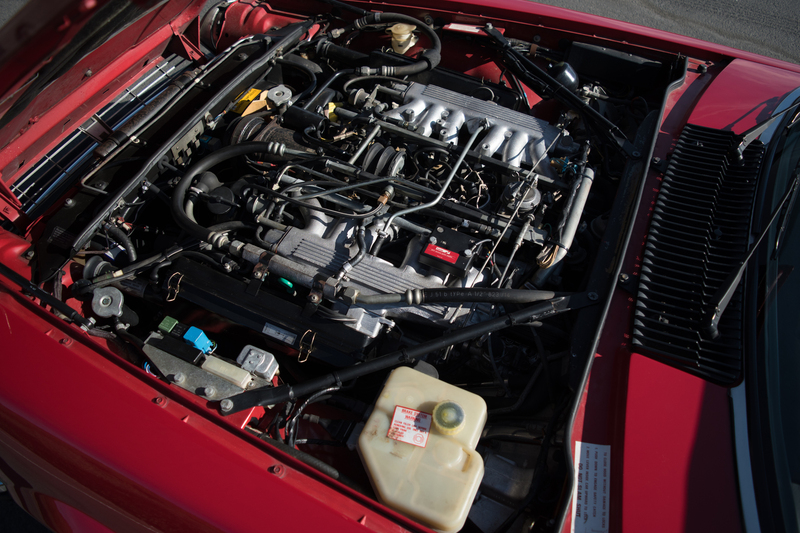 The engine compartment is also above the typical driver standard and shows nicely with a great factory look. 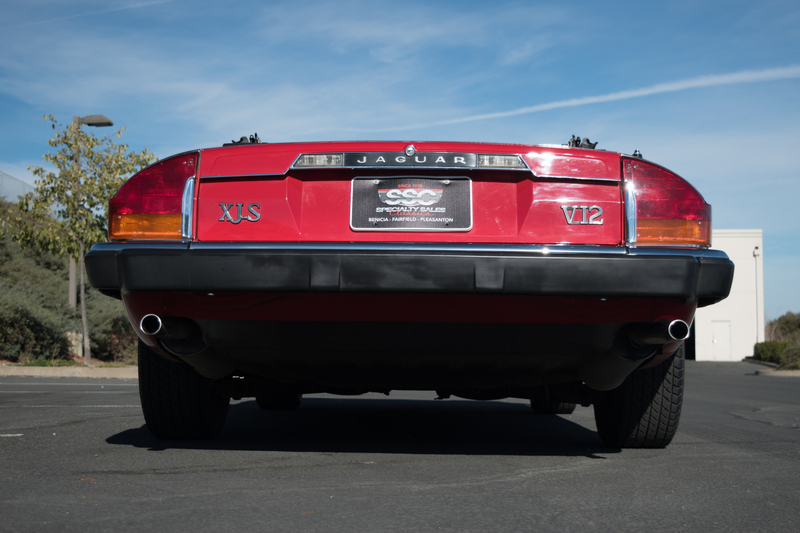 Overall, this 1989 Jaguar XJS Roadster is a gorgeous, stand out example that drives like a dream and turns a whole lot of heads. It’s a fantastic value at the current asking price and an excellent addition for new collectors as well. 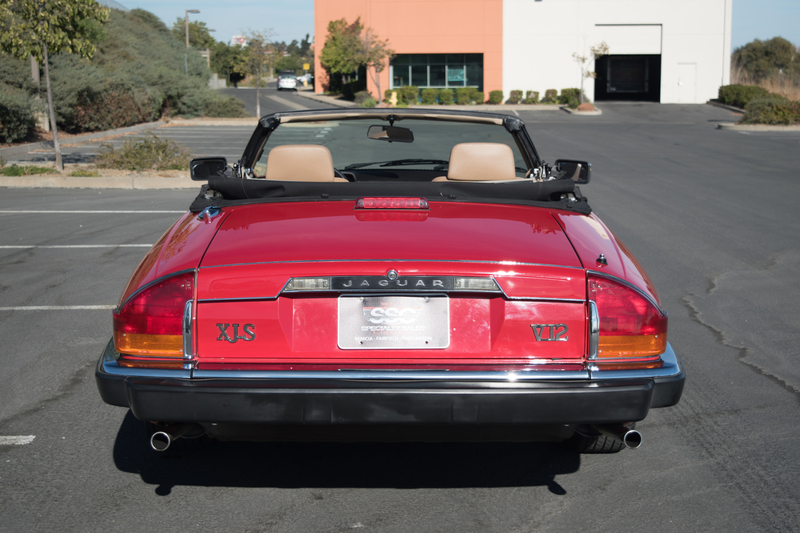 It will not remain here long so come see this fantastic luxury roadster today! For more information about this vehicle, visit our Benicia, California showroom, give us a call at 707-748-4000, or email us at Sales@SpecialtySales.com. 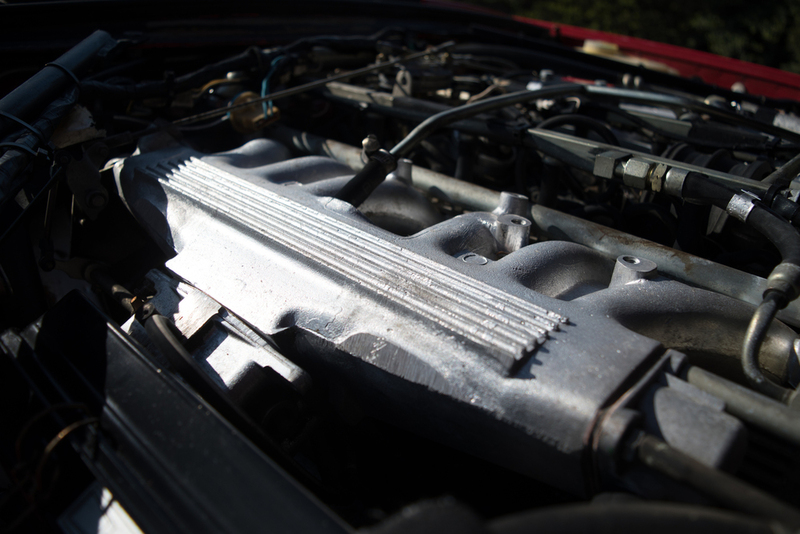 Be sure to mention Stock # B11469 as well.